Queenstown is home to a humble market selection. Even so, New Zealand’s adventurous resort town is very much the gateway for a great assortment of weekend treats. From regular arts and crafts events to luscious foodie finds, here’s your guide to the very best markets in the area. Every Saturday morning, Earnslaw Park comes alive with visual arts, crafts and music performances. The Creative Queenstown Arts and Crafts Market supports and promotes artists from the area as well as the wider South Island. People come from as far as the West Coast region to showcase their artistic pursuits. In the summer months, the market is open from 9:00 am until 4:30 pm, while in winter it operates from 9:30 am until 3:30 pm. If you happen to be within close quarters of Queenstown Airport on a summery Saturday morning, make sure to check out the seasonal Remarkables Market in Frankton. Arts, crafts, giftware, local produce, coffee, ready-to-eat foods, and panoramic alpine views are some of the market’s many highlights. 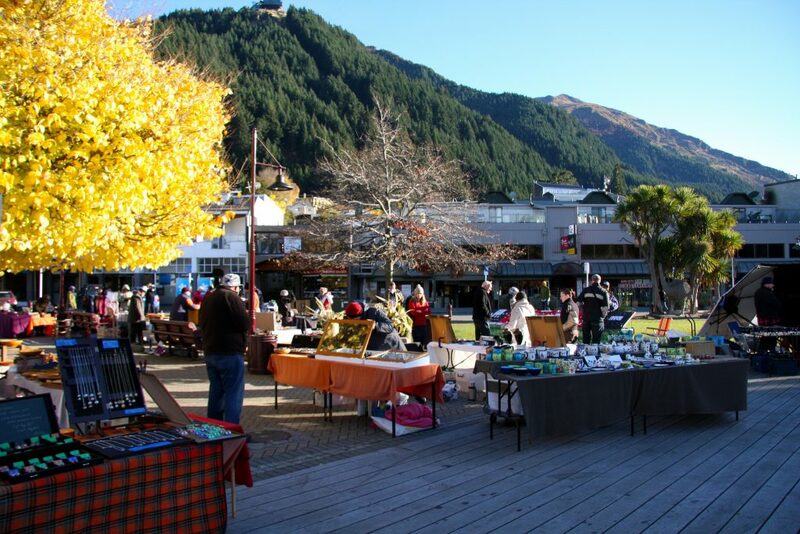 The Remarkables Market operates from October until April each year, from 9:00 am until 2:00 pm. Still in the Queenstown-Lakes district, but far enough for a quick day trip, the Wanaka Farmers’ Market is unique in the area because of its regularity – while most farmers’ markets in the Central Otago region are seasonal, this one runs all year round. The market, held outside the Speights Ale House on Ardmore Street during the colder months, brings an incredible selection of homegrown produce, and locally-made arts and crafts. You can check out the market every Thursday from 3:00 pm until 6:00 pm during the winter season. In the summer, the event relocates to Pembroke Park and operates on Sunday mornings alongside the local Sunday Craft Market. 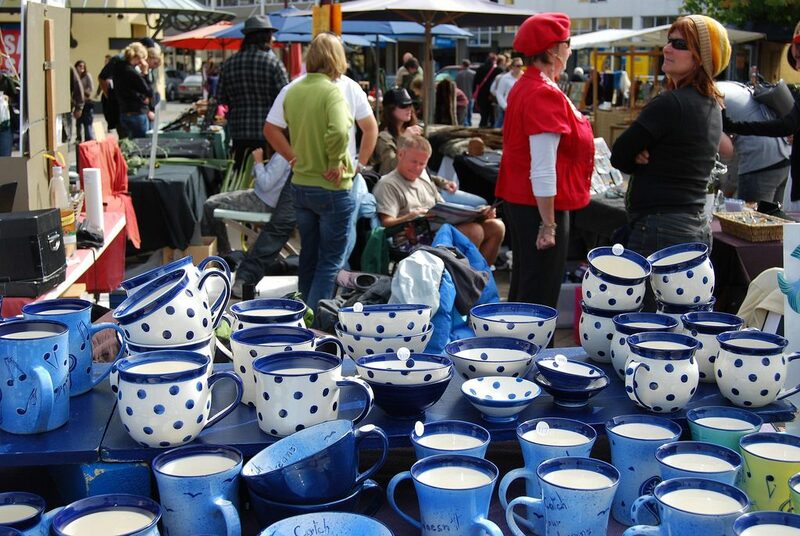 Run by the Upper Clutha Community Arts Council, the Wanaka Sunday Craft Market is a seasonal showcase of the town’s best handmade creations – directly sourced from, and sold by, local artists. From pottery to wood carvings, photography and wool, every single creative channel is evident along this community market’s stalls. This is a seasonal market, which only operates in the warmer months (i.e. October until April). 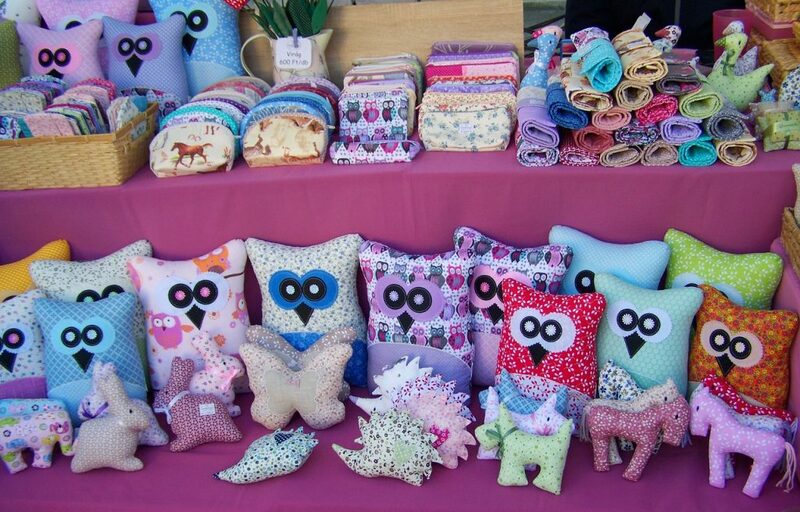 The Wanaka Sunday Craft Market is held at Pembroke Park from 10:00 am to 2:30 pm. Located in the Cromwell Heritage Precinct, approximately an hour’s driving distance from Queenstown, the Cromwell Farmers’ and Craft Market has proven to be a hit among locals and visitors for more than a decade. Artisan breads, local meats, cheese and fish, flowers, homemade honey, assorted preserves, and various crafted candles, soaps, and woodwork are among the various items you’ll stumble across on a single market day. Themed events are a regular occurrence too: from French markets right up to children’s markets and special Christmas and Easter events. The market runs every Sunday from 9:00 am until 1:00 pm from Labour Day (in October) until Easter.